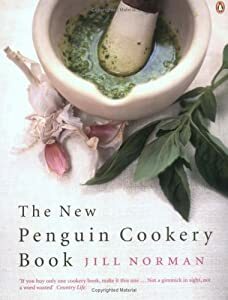 As my copy of ‘The Kitchen Diaries‘, (Nigel Slater), is still sitting in Ecclesall Road sorting office, I’ve been finding recipes for the coming week from one of my favourites, The New Penguin Cookery Book by Jill Norman. I wasn’t going to bother but then I started watching Masterchef and got obsessed. I’m trying a new regime of shopping daily so that I stop wasting food – I tend to overshop so this week is going to be different. The idea is that, on the way back from the sorting office tomorrow, I can walk down Sharrow Vale Road, which is a really lovely street here in Sheffield, with lots of small food shops – grocer, butcher, fishmonger, baker, ironmonger, Greek deli. There are also some really good pubs and restaurants and it’s an area with a large student population so it’s always buzzing. I’ve eaten too much meat this week so feel as though I should give myself a break. 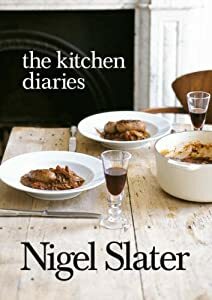 So, tomorrow it’s mushroom ragoût with tagliatelle which is from the Jill Norman book mentioned above. If it’s good, (and it sounds like it will be), I will post the recipe tomorrow along with all appropriate credits of course.